Axel Nordemann studied law at the Goettingen and Munich Universities. Subsequently, he became a research fellow at the Max Planck Institute for Intellectual Property and Unfair Competition Law (Munich), where he wrote his doctoral thesis on copyright law in photography. 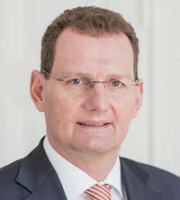 In 1992 he first worked as an attorney for a small law firm in Munich; in 1993 he joined BOEHMERT & BOEHMERT, becoming partner in 1996. The focus of his work is trademark law, copyright law and unfair competition law. Regarding trademark law, Dr Nordemann advises German and international companies from a wide range of industries. Clients include publishing houses, radio broadcasters, pharmaceutical companies, beauty companies, cloud computing companies, advertising agencies, toy manufacturers, exhibition companies, a German museum and several retailers. He manages worldwide trademark portfolios and represents trademark owners at the German Patent and Trademark Office, the EU Intellectual Property Office, the German courts, the EU General Court and the European Court of Justice. In the copyright field, Dr Nordemann works for national and international media organisations and publishers. He advises clients mainly on copyright litigation. In addition, he often handles counterfeiting cases involving the interface between copyright, design, unfair competition and trademark law. Regarding unfair competition law, Dr Nordemann mainly advises companies on matters involving counterfeiting and misleading advertising. Dr Nordemann is an honorary professor at the University of Constance.